For the countless fans of this Italian automobile manufacturer, there is simply no substitute for the feel and power that this prancing horse offers. The company has gifted the automobile lovers with a great line-up of luxury cars, super cars as well as sports cars. Once a Ferrari fan, always a Ferrari fan- right? Well, for all the Ferrari fans, here is the carefully chosen list of the most fabulous cars from Ferrari. Considerably, one of the top road model under the banner of ‘fabulous cars from Ferrari’ is the 488 GTB. The car, with 3.9-litre twin-turbo V8 that delivers 661 BHP, has set its top speed of 205 miles per hour. With the model, you are in for an amazing and chilling driving time. The model accompanies a big bunch of electronic features, somewhat similar to the company’s Formula one model, 488 GTB. There is even a provision for choosing the among the preset drive mode. The Super smooth gear set is yet another great feature of the car. Launched in 2015, the production is still going on- and why would it not, given its success! A limited version of Ferrari, LaFerrari Aperta was launched in 2016, at the Paris Auto Show 2016. LaFerrari is a limited edition sports car hybrid- the first hybrid from Ferrari. LaFerrari has set the record title of the ‘most valuable 21st-century automobile to be sold at an auction’ when one of the cars was auctioned at $7 million. The model offers 40 per cent higher fuel efficiency with a high power output. In fact, the power output offered by the model is higher than any other Ferrari. The 6.3 litre v12 along with KERS produces a stunning 950 BHP. The model claims to hit 60 miles per hour in just 2.4 seconds and 200 miles in less than 7 seconds. It boasts to have set the top speed of over 217 miles per hour. Add to all of it the stunning appearance of the model! Current market value: over $6 million. This is one of those custom made style gods from Ferrari, launched in March, 2013 at the 83rd Geneva motor show. It comes in the body of 2 seat spider with an open top. With just 6 units produced till now, Ferrari Pininfarina Sergio is one of the greatly desired vehicles around the globe. The model is totally windowless. It features some great stuff like aerodynamic headrests. The engine is a 4.5L V8, producing 596 HP. The roadster goes 0-100 Kmph in less than 3.2 seconds. As per records, the automobile manufacturer had taken upon itself to choose and invite the owners for this rare model. Sure enough, those who were lucky to have this unique model, the specimen of design and beauty at its best, have made a worthy buy! 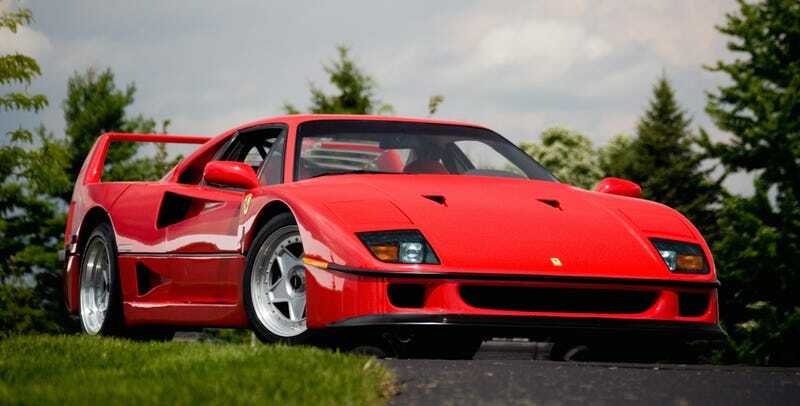 Well, another classic charming Ferrari model qualifying in the list of fabulous cars from Ferrari. This fantabulous model, which had its production for a period of 5 years from 1987-1992, it is quite a beast in its own. The car, owing to its lightweight, gives an astounding straight line show. The twin turbo engine produces 471 BHP. The best speed hit by the model, as claimed by the company stands around 200mph. The allure that this model held is something that many of the top models couldn’t manage. The planned production estimate was just 400, the roaring response for the model was such that the company ended up producing well over 3 times the estimated number! Adding to what makes the car so special is that this was the last model that the ‘Father of Ferrari’ himself approved. The model was a creation for the celebration of 40th anniversary of the automobile leader. Anyone who had a car craze back in the ’60s or ‘70s would know the charm and aura that this particular car held. 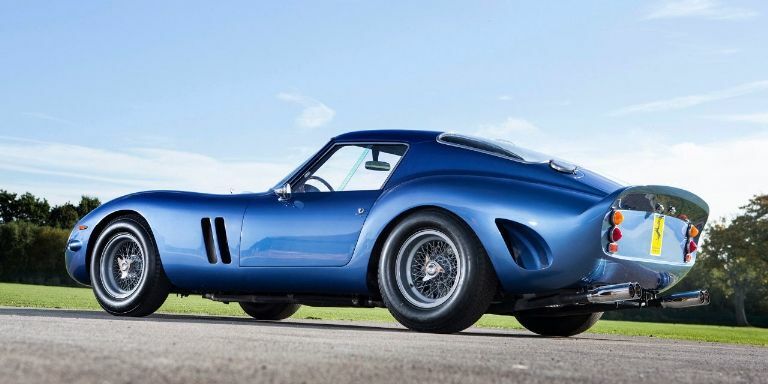 Ferrari 250 GTO is the title holder of ‘The most expensive car sold out at auction’. One of the 39 pieces manufactured, a ‘62 model, fetched well of $38 million in a 2014 auction, and this busted the record which a 1954 Mercedes-Benz held before. The model was in production for a period of 2 years, from 1962 to 1964. In the while, it has won many awards as well.